Unique populations of birds nicely nest alongside the new Novy Port oil project, researchers hired by company Gazprom Neft say. Several rare and endangered birds have their nesting grounds in the area of the Novy Port oil project, researchers from the Ecology Institute of Flora and Fauna say. 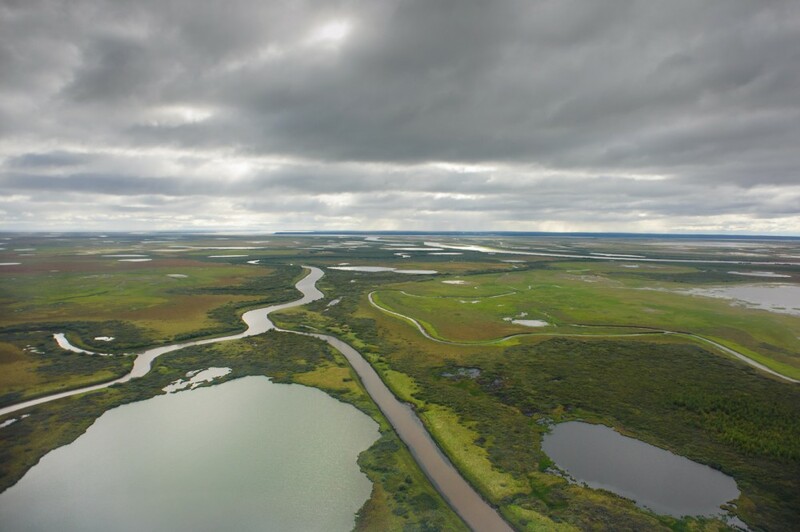 The researchers have conducted an environmental mapping in the area around Gazprom Neft’s industrial objects in Yamal. Among the birds tracked in the area is the Arctic falcon, Professor Vladimir Bogdanov says in a press release published by the Yamal Nenets government. There is also a population of red-breasted goose in the area, he confirms. Both species are listed among endangered birds. The study concludes that the industrial activities of the company do not affect the wellbeing of the birds, the regional government says. The Novy Port is the new regional project developed by oil company Gazprom Neft. The project includes the development of an oil field with 250 million ton of reserves, as well as adjacent pipeline and terminal facilities. «The work regime which has been established in the Novy Port field has facilitated the Arctic falcon’s habitation in the area», Professor Bogdanov says. «The favourable conditions include the absence of interference and disturbance from humans and the availability of suitable nesting, and this has made the birds adjust to the new landscape», he adds. The environmental study is financed by oil company Gazprom Neft. In a comment, General Director of the comapny’s Yamal branch Aleksey Ovechkin underlines that the study «bears witness of the favorable conditions for animals» on the industrial site. «An analysis of the country’s economic development for the next decades shows that the development of the mainland part of Yamal and the adjacent Kara Sea shelf and Gulf of Ob is considered as the only alternative, and the environmental monitoring of the Novy Port field is a part of this process», he adds. Meanwhile, a delegation from the environmental organization Greenpeace was in 2016 barred from visiting the peninsula. The environmentalists wanted to study the impact of the rapidly expanding oil industry in the area. The development of the Novy Port project is proceeding with full speed. In 2018, Gazprom Neft intends to increase the project’s annual production to 6,3 million tons. The field infrastructure allows for a total annual out-shipment of 8,5 million tons. With its 250 million tons of oil and condensate reserves, the Novoportovskoye is one of the biggest oil fields in the Yamal Peninsula. The field is located 30 km from the coast of the Ob bay, and oil is transported by pipeline to Cape Kamenny where a terminal facility has been developed.